A local court has directed AK Saseendran to appear before it on July 28. 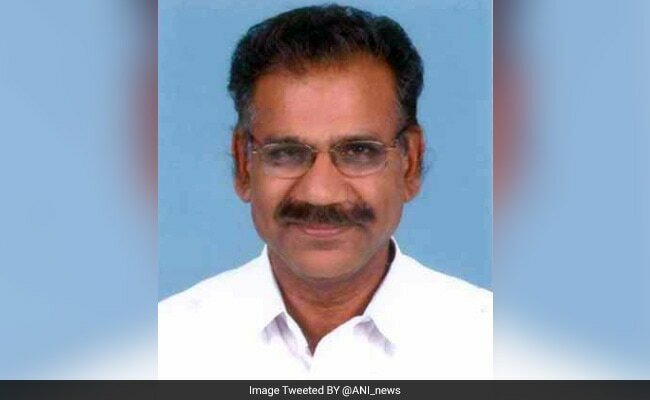 Thiruvananthapuram: A local court today registered a case against former transport minister AK Saseendran and directed him to appear before it on July 28 in connection with his purported sleaze talk with a woman, which was aired by a television channel in March. Mr Saseendran had quit on March 26, the day a newly launched television channel aired the sleaze audio clip. Chief Judicial Magistrate (CJM) PV Anish Kumar, before whom the case came up, also directed issuance of summons to Mr Saseendran to appear before the court here on July 28. The case was registered against Mr Saseendran, an NCP MLA, on a complaint from a woman media personnel of the TV channel that the former minister had been allegedly harassing her over phone with his alleged sexually explicit talks. The offences against Saseendran pertain to sexual harassment, stalking and insulting the modesty of a woman. The channel had maintained that the alleged lewd phone calls were made to the woman during a sting operation. The Left Democratic Front government had constituted a Special Investigation Team (SIT) to probe the sting operation. Five mediapersons of the channel, including its CEO Ajithkumar, had been arrested. Reacting to the development, Mr Saseendran said he welcomed the court decision. "It is a natural action", he said in Kozhikode, adding that when the court gets a complaint, there would naturally be an action. "Now I have been given an opportunity to be heard", he said. Mr Saseendran said he had welcomed the investigation earlier itself.